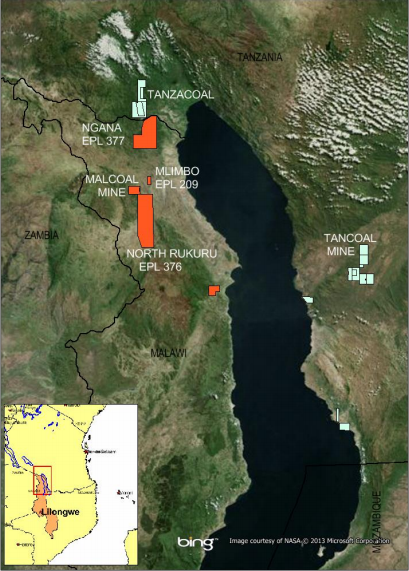 Intra Energy Corporation, an Australian-based mining and energy company with major thermal coal assets in Malawi and Tanzania, has located, measured, and sampled many outcrops of coal in Northern Malawi. This week, the company announced that the exploration team has intersected thick coal seams. 11.2 metres (cumulative) of coal over a 25 metre section was discovered in a drillhole during prospecting activities. Geological mapping and extensive exploration work is being undertaken within EPL174 (Malcoal Mine), EPL209 (Mlimbo) and EPL376 (North Rukuru) (see image above). Through these activities, Intra Energy has made a number of new coal discoveries as well as extended some of the known deposits. In March 2013, the Malawian Government signed a Memorandum of Understanding with Intra Energy to allow the company to construct and operate a 120 megawatt coal-fired powered station in Chipoka, Salima. Coal will be supplied from Nkhachira Coal Mine in northern Malawi that Intra Energy recently acquired and has commenced mining through its subsidiary, Malcoal Mining. 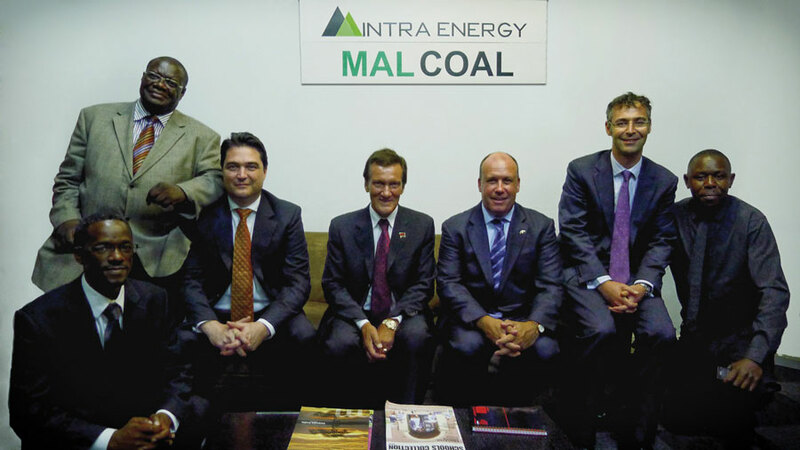 Intra Energy has been awarded a number of concessions in Malawi over the last 6 months aligned with its vision: “African coal to power African growth”.